Once there lived a stonecutter named Josiah. Josiah occupied a sleepy little hut near the quarry by the lake, and was known far and wide as one of the most talented stonecutters in all the world. People would come from miles around to see Josiah work, watching him carry the heavy, sharp rocks up the hill to his hut, and then cut them down into beautiful works of art. His cut rocks served as the foundations of many beautiful buildings, and his intricately carved sculptures graced the gardens and foyers of some of the most powerful people in the land. Even with all of this success, Josiah frequently found himself feeling blue. Because of all the time he had dedicated to his craft, he found himself very alone, often working late into the night with only his creations to keep him company. One blustery evening while working in the quarry, Josiah noticed a particularly elegant looking piece of granite. The granite was cool to the touch and smooth (almost unnaturally so), and Josiah knew the instant he touched it that it would make a fine sculpture for his home. Heading to the top of the quarry, he sat upon a rock, gathered his fine chisels, and began working. Although he did not know quite what he was carving yet, he set to work shaving off layer after layer until a shape began to emerge. First came the smooth, broad stretch of a forehead, followed by two sunken pots for eyes, a strong and proud nose, and finally a pair of gentle lips. 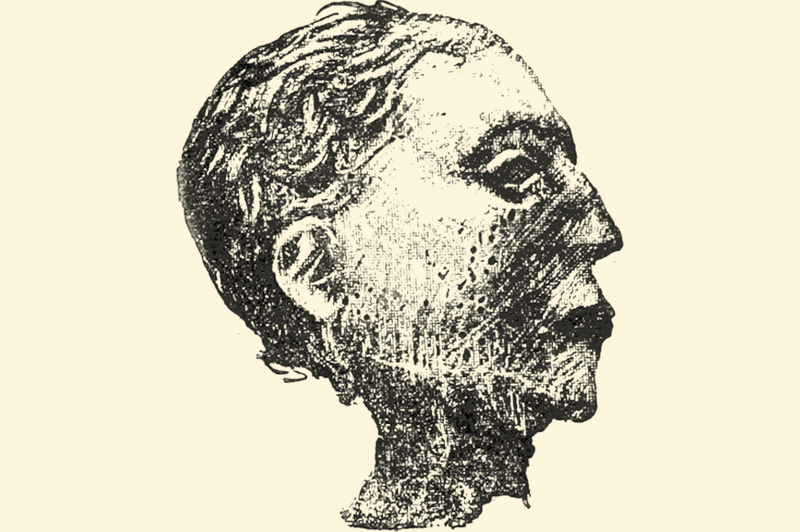 The head's features seemed to appear on their own as Josiah removed the stone from around them and, after an hour of work, he found himself staring into a face that might have been distantly related to his own. Sitting back to survey his work, Josiah was struck with an incredible sense of sadness. Seeing a face that, in another life, might have been related to him filled him with regret for the life he had lived. Overcome by his sadness, Josiah took the stone in his hand and hurled it into Oquirrh Lake, watching it plop and sink into the depths below. "Please, take this head far from me," Josiah shouted to the lake, "for I am alone, and alone will I always remain!" Josiah paused, perhaps waiting for a response from the lake, but none came. He stood there at the top of his quarry for some time and looked into the distance, thinking and wondering. A series of loud bangs jostled Josiah up in bed. Across his hut he could see the front door rattling at the hinges as someone, or something, pounded against it. "Who's there," Josiah shouted over the clamor, "and why do you darken my doorstep so late at night?" From the other side of the door, a low, rough voice answered slowly. "Faaaaather... I am home, faaaaather..."
The hair on Josiah's neck stood up straight. Through the cracks between boards in his walls he could see a large, menacing figure outside the door, with rough and rocky edges. The window! Outside the window, the horrible creature stood. It was broad and thick, human in figure, but made entirely from scrap stones. Atop the pile where a head should be sat Josiah's head carving, now chipped and damaged from being throw into the lake. "Faaaaaather," the creature cried, reaching towards the window. 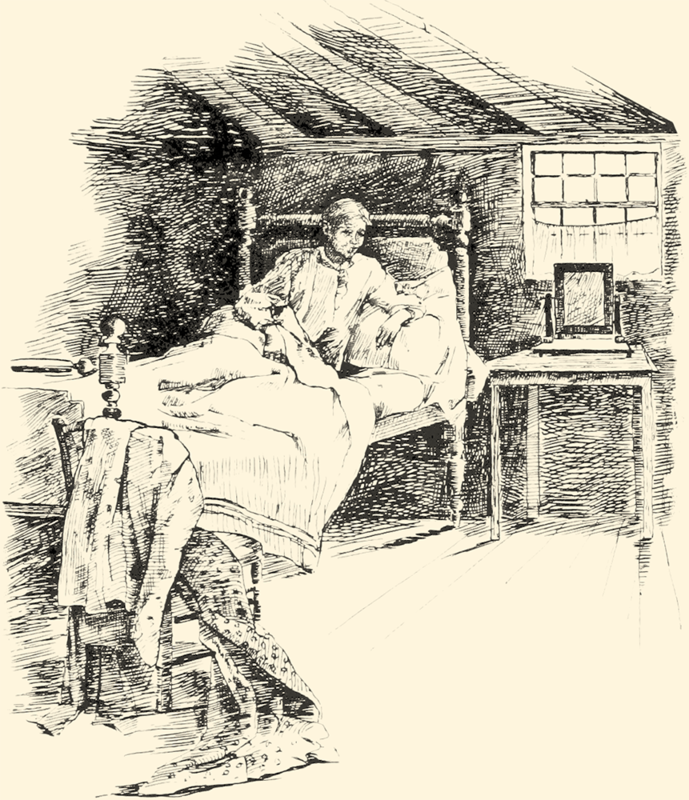 Josiah darted from bed and ran immediately towards the door in an attempt to escape, but by the time he opened the door, the creature was already standing there, mere inches away from him. "Faaaaather, I've come hooooome..."
Josiah felt his body grow weak as the creature's arms wrapped around him tightly. He felt a rush of fear run through his system, preparing to be killed by his own creation, when suddenly, the creature released the hug. "I will sleeeep outsiiiiide, faaaaaather," the stone man said. Almost instantly Josiah's fear turned to confusion. "What is this? Have you not come to kill me, creature?" The stony figure shrugged in an almost gentle way, sitting down on the ground outside the hut with a hard thud. "I am your sooooon, faaaaaather. The lake gaaaaaave me to youuuuu." Josiah's thoughts ran wild. The lake had heard his misfortune, and thought it fitting to give him that which he could not have: a family of his own. He began to laugh, quietly at first and then louder and louder, until finally his son of stone began to laugh with him, and their laughter filled the night sky and drifted across the lake under the pale moonlight. Years later, when Death arrived to finally claim Josiah, he found him old and comfortable, cared for by a mysterious and misshapen son whose body remained hidden entirely underneath cloth. Death asked Josiah about the figure, for it was known that Josiah never married or had children. "Oh, that's my son," Josiah said, "he cares for me. At first I thought he was you, Death, but he certainly was not." "No," said Death, "it was not me. I come in my own time, and no man knows when. And with that, Death swept Josiah away. Ever since that day, it is said that some nights under the full moon, if you stand near the remains of Josiah's quarry and look towards the lake, you can hear the shuffling of stones beneath the water, always looking for good pieces of rock to replace a hand or a leg or a nose. And even rarer, some nights you can see a rocky figure slumping towards the old graveyard with a beautiful polished stone to leave it atop a forgotten old gravestone before headed back to the eternal quiet of the lake. Death comes in his own time, Simon thought to himself. That could mean anything. He could be there right now and I wouldn't even know it... but I still have to try!